Bethany West Bethany Beach Delaware Homes. There are currently 2 Bethany West Bethany Beach Delaware Single Family Homes for sale. 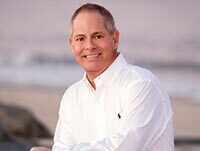 We are your Bethany Beach Delaware real estate specialist offering ALL Bethany West Single Family Home sales Bethany Beach Delaware Real Estate For Sale. You know you've been searching for a beach area home for a long time, but don't want to break the bank. Well here's your opportunity. This is a 4 bedroom, 2 bath beach home in superb condition! This beauty has been meticulously maintained and was renovated in 2007. This home has approximately 1400 square foot with a large 3-season room with ceiling fans, and open beam ceiling and neutral beach tones for added summertime enjoyment. There are two entry level bedrooms and two bedrooms on the second level with a bath on each floor. The kitchen with a full appliance package has lovely granite counters, eat-at kitchen bar, tiled flooring, upgraded cabinets with designer nautical drawer pulls and slider drawers for easy food prep and storage coenience. The dining area is large enough for your guests and the three-season room can be used for all the overflow company you'll be sure to have. The laundry room with a stack system is coeniently located on the first level. The yard is fenced, the side deck gets plenty of sunshine, and there are two rear storage sheds for all your yard gear. For your coenience, there is a nice outdoor shower with a seat so you can spritz off after returning from the beach to keep the sand from your toes outside. The architectural roof was installed in 2010 so no need to worry. The taxes are low, about $1300 a year including the county and township of Bethany, the HOA is low, $600 a year and no land lease. Your new home is located close enough to the ocean you'll be able to catch a whiff of suntan lotion and hear the familiar summertime 'flip-flop' sound as your friends and neighbors walk to one of the most sought after beaches on the east coast, only 8/10 of a mile. If you're not a walking type, take the beach shuttle, or better still, there are two outdoor pools in your community, one right outside your back door. Your new community also offers, tennis and sporting courts, and a playground. If you're the iestor type, this could be a golden opportunity for you. There's enough space in this home for several summertime vacationers. Now, is this living the lifestyle you've always imagined? In a word... yes it is!